A major shift in attitude, environment, and professional practice has come to the world of elder care in recent years, with a culture change toward person-centered care in many places that serve seniors, including long-term care facilities. In years past, care was more focused on the needs of the institution, with a hospital-like environment, daily schedule determined by staff members, and standardized treatments or programs based on clients’ diagnoses. With the culture change, focus has been shifted to the seniors themselves to have greater self-determination in making decisions about their medical care, their living environment, and how they spend their time on a daily basis. A new focus has also been placed on making long-term care as home-like as possible, with meaningful relationships among staff and residents. 1. Music therapy leaves lots of room for resident choice. I plan opportunities for making choices into all of the sessions I facilitate. The participants in my sessions get to choose instruments and songs, and their feedback helps me to plan what kinds of experiences to facilitate with the group. Even elders who cannot communicate well can choose between two different rhythm instruments or two colors of scarves. 2. Music therapy is highly adaptable to residents’ needs and preferences, even on a day-to-day basis. Even when I plan sessions based on participants’ suggestions and preferences, I am willing to throw these plans out the window if they need something else on a given day. Music therapists can easily adapt the amount of time spent in a particular experience, the type of music used, and the various musical elements involved, lending to an experience that is person-centered every time. 3. The heart of the music experience belongs to the group or individual resident rather than the music therapist as the performer. I repeatedly tell residents that this is their music. I am there to facilitate their musical explorations and creations. Their ideas and experiments – new dance moves, song suggestions, rhythmic ideas – always feed back into the music that we make together as a group. 4. Music therapy encourages music experiences that are naturally social. It used to be common for people to gather on a front porch or around a piano to make music together, and people still seek out music experiences when gathered informally in a group, even if that is just to listen to the radio. Conversation happens easily with musical support, helping to build community in a natural way. 5. Music therapy works well in a home-like environment. It is easy to bring a guitar and a bag of instruments to the living room area in a nursing home neighborhood. Elders can walk a short distance from their rooms, sit in their favorite chairs, and enjoy music with their closest neighbors without the big production of going to a large group activity in the main dining room. All of this contributes to the home-like environment that is a central part of culture change. 6. Music therapy encourages the sharing of personal life experiences, and in my sessions, everyone (including staff!) gets the opportunity to share. This helps to build relationships among residents and staff members, which are key in the person-centered model. 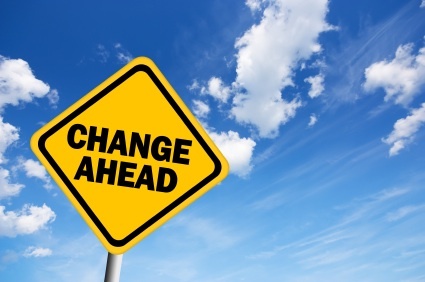 What are your thoughts on culture change in long-term care? How have you seen music therapy contribute to the person-centered care model? Leave your comments below! Lyric sheets: Yes or no?